You may guess from my article about the new Salesforce Tower that I have been fascinated by construction cranes for some years. Believe it or not, it was only about three years ago that I looked into how those tall cranes manage to get taller as their buildings grow into the sky. 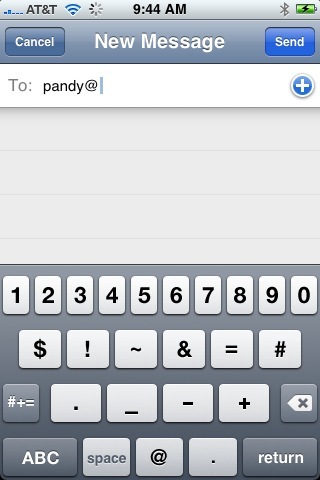 Obviously something happens, but I hadn’t ever figured out the details. Of course, millions of other people have also found this fascinating, and the companies that make those cranes have provided us with the critical info on how the cranes work. It all goes hand-in-hand with the process of building these skyscrapers. Salesforce Tower, like ﻿﻿ many other tall buildings, has a concrete core that goes up a few floors at a time, with a steel exoskeleton that follows a few floors behind. To lift those steel beams requires a construction crane on a tower, and that tower must get taller as the building gets taller. 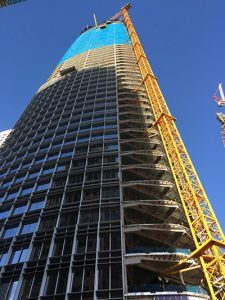 For Salesforce Tower, there were two tower cranes that started at perhaps 100 feet tall, and then grew around 100 feet each time the building’s concrete core caught up with them. As the building topped out, they were nearly 200 feet above the 1,070 foot structure. 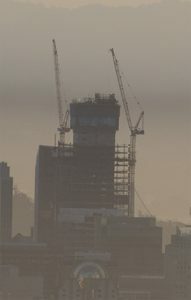 The growth of the building’s core and the two cranes can be followed easily in the time-lapse provided by the building’s team. (see the little Play time-lapse sequence button in the control strip below the visual player on that page) You’ll see the concrete core rise, clad in blue protective sheathing, and the steel follow behind it, with the two yellow tower cranes staying ahead of this progress by a comfortable distance.